In this insightful article Kevin Grove gives us an inside look at the upcoming ban of R22. According to the article R22 is is a refrigerant used in air conditioning systems and has been banned in new air conditioning systems since 2003. Kevin goes over what steps repair technicians will need to take to re-service air conditioner units that had previously run on R22. Also covered in the article was a recent panel of experts held at the Royal Society of Medicine where issues regarding the ban’s impact on business was discussed by building managers, consultants, architects and business leaders. 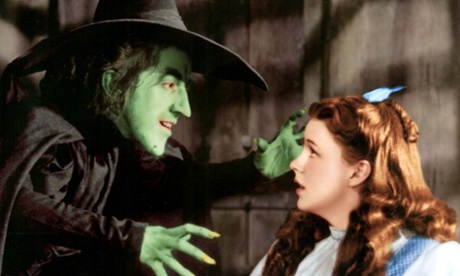 Science is not just for people who watch The Wizard of Oz, as proved by this blogger who relates the way the witch melts to climate changes in the South. 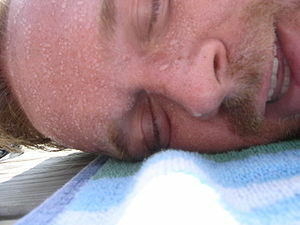 Heat has a huge effect on the world around us, especially when it is paired with water and perspiration of the human body. When water collects in an air conditioning unit, and can change how that unit cools your home. Also, when water is released from the body during a hot day, it will change how hot or cold you feel in the hot summer weather. It gets so hot in the South, it sometimes appears the people are melting like the wicked witch. Like other buildings that operate 24 hours per day, hospitals use a great deal of energy. 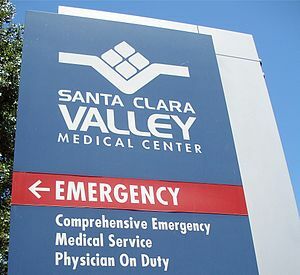 As a result, there has been much focus in recent years by hospital administrators and building managers on reducing energy consumption and lowering operating costs since hospitals use an estimated 5 percent of all energy consumed in the United States. But a recent study in the UK complicates the issue somewhat because it points out that by making hospitals “tighter” and more energy efficient, patients may become more susceptible to airborne infections and germs. The study, which was conducted at the University of Leeds, attempted to show how airborne infections might be passed in an average hospital unit. The researchers released balloons filled with carbon dioxide in an effort to mimic the spreading of germs or an infection. With the use of smoke sticks, researchers were then able to follow the route of the fake infection. The results were that the airborne infection risk was low when windows were open and increased by up to four times when the windows were closed to save energy. According to the lead investigator, it’s important to provide alternative ventilation systems when sealing up buildings for energy efficiency to reduce the risk of airborne infections. Refrigerants – Flammable Or Not Flammable? The EPA has just released a list of dangerous flammable refrigerants. Both homeowners and contractors should be vigilant. The list is based on “substitutes” which are reviewed on the basis of ozone depletion potential, global warming potential, toxicity, flammability, and exposure potential. Lists of acceptable and unacceptable substitutes are updated several times each year. A chronological list of SNAP updates is also available. 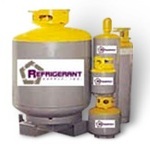 Some of the unacceptable refrigerants include Hexafluropropylene (HFP) which is highly toxic. Acceptable alternatives are determined to reduce the overall risk to human health and the environment. These alternatives may be used without restriction in specific end-uses. R-22a, also known as 22a Refrigerant, is a really flammable gas/. It’s colorless and even heavier than air. The product’s Material Data Safety Sheet (MSDS) states that it is composed of “liquefied petroleum gas.” Its contents have been identified as propane; in some cases, it may also contain small amounts of other hydrocarbons or a pine-scented odorant. If R-22a come into contact with an ignition source it can explode. Beware of Flammable R-22a Refrigerants! The price of coolant for air conditioners and refrigerators (R-22) is strictly controlled by the Environmental Protection Agency (EPA). 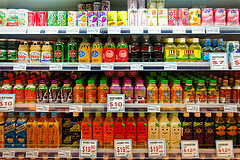 The EPA has created a sort of coolant cartel. The price of R-22 might be changing because over the last three months the EPA has increased R-22 allocations, China has agreed to control its emissions, and a new bill was introduced to Congress to enforce refrigerant leaks. Some states are also cracking down on leak offenders. The EPA has created a myriad of legal hurdles and red tape for itself and the cooling industry. R-22’s price remains volatile and unpredictable as does any industry relying on climate controlled environments. AC Problems Got You Down? What do you do when you are having problems with the air conditioning in your home? This article attempts to identify and solve some of the common problems associated with air conditioning. Among the problems it addresses are the automatic turning-on of your air conditioning and unusual noises coming from your unit. One of the first things you should do if your unit is not automatically starting up is to check the thermostat. The wiring in the thermostat may be damaged which will prevent the air conditioner from automatically turning on. If your unit is making odd noises, one of the belts inside the unit may not be seated properly. In 2009, the EPA banned manufacturers from shipping new A/C units with R-22, an ozone-depleting refrigerant that was intended to be temporary replacement of the old refrigerants until a new type could be developed. However, the ban included a loophole, and over the past few years, A/C units with R-22 have still been installed. That loophole may finally be closing, however, as the price to fill those cheap A/C units with R-22 proves to be substantially greater than more environmentally friendly chemicals. Think costs are high? Just wait two years when the price is expected to drop over 90%. From year 2009 to 2012 about 8 million new air conditioning units are sold with R-22, a charge around 7 LBS each. In 2004 the sale of R-22 was 385 million LBS. The total units in service with the commercial unit would be around 14 years, residential unit is 18 years, and chiller would be 30+ years. The weight of a commercial unit is 16 lbs, residential 7 lbs, chiller is about 450 lbs each. AHRI only releases the data as aggregates, breaking it down is practically impossible! About 11 million A/C units are bought, sold, and used a year in America. over 10000 chillers are sold and installed a year. In 2010-2012 there was 205-290 million lbs used. Going back to 1999 there were 1.2 billion lbs. installed in that year. There was a very steep drop in 2010, now making it 2012-2013 there is approximately 1.5 billion installed in systems today. Also known as Freon gas, R-22 is being used less often in appliances and equipment. In fact, in 2020, Freon is supposed to stop being produced all together and the only way to keep using it will be to recycle it from devices that have previously used Freon. When thinking about replacing your HVAC systems, be wary of companies trying to take advantage of this new imposed change and charge you too much. Some contractors will try to make you upgrade more than is needed, saying that you have to or that an upgrade can’t be done on one of your appliances without replacing all of them. CAS hopes that you can find a beneficial relationship between customer and contractor. Other things that a sly contractor might say or do to make more money off of you include enticing you to buy more expensive equipment than you would have liked. Freon, which is also commonly called R-22, is scheduled to be phased out of use. In the year 2020, there is supposed to be no more freon production in the world. The use of freon contributes to the destruction of the ozone layer of the planet. People will still be able to use the gas, freon, after 2020 even though the production will be stopped then. They can do this by recovering old freon in old appliances, such as old air conditioners. However, there is already a ban in place on producing new equipment which runs on freon gas. Replacing systems can be costly, and TrakRef can save homeowners, renters and commercial businesses lots of money in the long run.